Remembering the Christmas Truce of 1914: (Questioning Christian Participation in War), by Gary G. Kohls, M.D. 104 years ago something happened in the fifth month of the “War to End All Wars” that put a tiny little blip of hope – which was cruelly and rapidly extinguished by the pro-militarism powers-that-be in both church and state – in the historical timeline of the organized mass slaughter that is war. The event was regarded by the professional military officer class to be so profound and so disturbing that strategies were immediately put in place that would ensure that such an event could never happen again. “Christian” Europe was in the fifth month of the war of 1914 – 1918, the so-called Great War – that finally ground to a mutually suicidal halt after four years of exhausting trench warfare, with almost all of the original participants dead or permanently wounded (in the case of the front line soldiers) or financially, spiritually or morally bankrupt (in the case of the involved nations). British, Scottish, French, Belgian, Australian, New Zealand, Canadian, German, Austrian, Hungarian, Serbian and Russian clergymen from church pulpits in those Christian nations were doing their part in creating a decidedly un-Christ-like patriotic fervor that would result in a holocaust that destroyed four empires, killed upwards of 20 million soldiers and civilians, physically wounded hundreds of millions more and caused the psychological decimation of an entire generation of young men whose spiritual care was supposed to be the responsibility of those very clergymen. Christianity, it should be remembered, began as a highly ethical pacifist religion based on the teachings and actions of the nonviolent Jesus of Nazareth (and his pacifist apostles and pacifist followers). Christianity survived while refusing to use violence against its supposed enemies and actually thrived despite widespread persecutions. It became the largest religion in the Roman Empire by the time Constantine “the Great” became emperor (in 313 CE). Constantine and his pro-imperialistic clergymen followers cleverly usurped the religion’s non-violent members into becoming OK with the homicidal violence of warfare, upon which Rome had relied in order to achieve its wealth, territory and power. Ever since the Constantinian coup, the nations that professed Christianity as their state religion have never allowed the mainline churches to truly promote the radical peacemaking of the original form of Christianity as the nonviolent Jesus had so clearly taught and modeled, starting with the Sermon on the Mount teachings. So, contrary to the ethical teachings of Jesus, most modern Christian churches by the time of the First World War, have refused to become active resisters to its particular nation’s militarist or imperial aspirations, its nation’s aggressive wars, its nation’s war-makers or its nation’s war profiteers. Instead, the church has, by and large, become a bloody instrument of the satanic in support of whatever pro-war Defense Department, political warmongers or war-profiteering corporations are in power. So, it shouldn’t come as a surprise to see that the religious leaders on both sides of World War I were convinced that God was on their particular side and therefore not on the side of those professed followers of Jesus on the other side of the line of trenches. The incongruity of believing that the same god was blessing the lethal weapons and protecting the doomed sons on both sides of No-Man’s Land failed to register with the vast majority of “Christian” combatants or their spiritual counselors. So, early in the war, pulpits and pews all over Europe reverberated with flag-waving fervor, sending clear messages to the millions of doomed warrior-sons that it was their Christian duty to march off to kill the equally doomed Christian soldiers on the other side of the line. And for the civilians back home, it was their Christian duty to purchase the war bonds, “support the troops” and honor the memories of those who were destined to return home dead or wounded, psychologically and spiritually broken, disillusioned – and, for the survivors, newly faithless. A mere five months into this frustrating war (featuring trench warfare, artillery barrages, withering machine gun fire, and, soon to come, unstoppable armored tanks, aerial bombardment and poison gas), the first Christmas of the war on the Western Front offered a respite to the exhausted, freezing and demoralized troops. Christmas was the holiest of Christian holidays and every soldier in the frozen trenches was slowly coming to the realization that war was NOT glorious (as they had been led to believe). After experiencing death, dying, bad food, hunger, frostbite, sleep deprivation, shell shock, traumatic brain injuries and homesickness, the traditional spirit of good will to all and peace on earth had a special meaning for the troops. Christmas reminded the soldiers of the good food, warm homes and loving families and friends that they had left behind and which – they now suspected – they might never see again. The soldiers in the trenches desperately sought some respite from the misery of the rat, lice and smells of the corpse-infested trenches. Instead, each frontline soldier found himself at the end of his emotional rope because of the unrelenting artillery barrages against which they were defenseless. If they weren’t killed or physically maimed by the artillery shells and sniper fire, they would eventually be emotionally destroyed by the “shell-shock” (now known as combat-induced posttraumatic stress disorder – PTSD). The soldier-victims that witnessed a multitude of examples of battlefield cruelty logically suffered various depths of depression, anxiety, sleep deprivation, suicidality, hyper-alertness, horrifying nightmares and flashbacks (which was usually misdiagnosed as a “hallucinations of unknown cause”, a reality that would condemn millions of future soldiers to be mistakenly diagnosed with schizophrenia and thus mistakenly treated with addictive, brain-altering, suicidality-inducing psych drugs). Among the other common war-induced “killers of the soul” included the malnutrition, the dehydration, the infections (such as typhus and dysentery), the louse infestations, the trench foot, the frostbite and the gangrenous toes and fingers. If any of the tormented survivors got back home in one piece, they often resented being treated as military heroes in Memorial Day or Veterans Day parades staged in their honor. They knew – if they were being totally honest – that they were not true heroes. Rather, they were the victims of a delusional, militarized culture that glorified war and killing but soon abandoned their wounded after they made it home barely alive. Hiding away the most disfigured war—wounded veterans continues to be standard operating procedure in every nation after every war. Poison gas attacks from both sides, although started by the scientifically-superior Germans, didn’t begin for a few more months. Allied tank warfare – which was a humiliating disaster for the British innovators of that new technology – wouldn’t be operational until the disastrous Battle of the Somme in 1916. One of the most lethal realities for the frontline soldiers was the frequent, futile, “over the top” infantry assaults that went up against the opposition’s machine gun nests. Those suicidal assaults were ordered by the over-aggressive new lieutenants at the front who took their orders from the rear-echelon generals who were in charge of their obsolete military strategy. Of course, those generals were also in safe bunkers far from the front. Such suicidal assaults were complicated by the presence of shell holes in the muck of No-Man’s Land and rows of coiled barbed wire that often made sitting ducks of the attacking soldiers. Artillery barrages from both sides liquified the soil and commonly resulted in tens of thousands of casualties in a single day. The “over the top” assaults sacrificed hundreds of thousands of obedient lower-echelon soldiers in the futile efforts to gain ground. Those assaults were stupidly and repeatedly ordered by senior officers such as Sir John French and his replacement as British Commander-in-Chief, Sir Douglas Haig. Most of the old-timer generals who had fought wars in the previous century refused to admit that their outdated “horse and sabre” cavalry charges across No-Man’s Land were both hopeless and suicidal. The General Staff planners of the various attempts to end the stalemate were safely out of range of the artillery. Britain’s political war-planners were safely back in Parliament, and Germany’s aristocrats were back in Berlin, busily looking over their two-dimensional maps. All the war-mongering generals were comfortable in their warm and dry headquarters far away, eating well, being dressed by their orderlies, drinking their tea and claret – none of them at any risk of suffering the lethal consequences of war. Screams of pain often came from the wounded soldiers who were helplessly hanging on the barbed wire or trapped and perhaps bleeding to death in the bomb craters between the trenches. Often the dying would linger for days, and the effect on the troops in the trenches, who had to listen to the desperate, unanswerable cries for help was always tormenting. 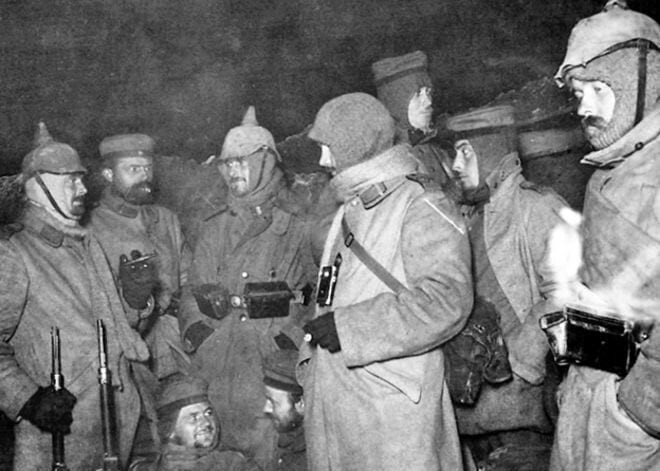 By the time December 1914 came and the winter freezing weather began, troop morale on both sides had hit rock bottom. So on December 24, 1914, the exhausted troops settled down to their meager Christmas meal with, for the lucky ones, gifts from home, special food, special liquor, special chocolate bars and the hope for peace, if even for one night. On the German side, a magnanimous (and deluded) Kaiser Wilhelm sent 100,000 Christmas trees with millions of ornamental candles to the front, expecting that such an act would boost German troop morale. Using the precious supply lines to the front for such militarily unnecessary items was ridiculed by the most of the hardened officers, but nobody suspected that the Kaiser’s Christmas tree idea would backfire – becoming a catalyst for an unplanned-for and unauthorized cease-fire, that was orchestrated by the front line troops. The event was unheard of in the history of warfare, and the mutiny was censored out of mainstream history books for most of the next century. The Christmas Truce of 1914 was a spontaneous event that happened at a number of locations all along the 600 miles of triple trenches that stretched across Belgium and France, and it was an event that would never again be duplicated, thanks to the war-profiteers, professional militarists and saber-rattling journalists in the media, Christian Bishops and Members of Parliament who glory in their nation’s “pseudo-patriotic” wars. Thirteen years ago, the movie “Joyeux Noel” (French for “Merry Christmas”) received a well-deserved Academy Award nomination for best foreign film of 2005. The movie is the moving story that was adapted from the many surviving stories that had been told in letters from soldiers who had participated in the truce. It is regarded by some as a miracle that the truth of that remarkable event survived the powerful censorship. 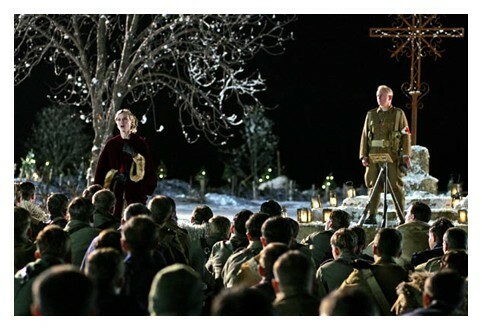 As depicted in the movie, a German soldier started singing the beloved (and easily recognizable in all languages) Christmas hymn “Stille Nacht”. Soon the British, French and Scottish soldiers on the other side of No Man’s Land joined in with their versions of “Silent Night”. Other Christmas songs were sung, often as duets in two tongues. Before long, the spirit of peace and “goodwill towards men” prevailed over the demonic spirit of war, and the troops on both sides began to sense their common humanity. The natural human aversion to killing other humans broke through to consciousness and overcame the fear, patriotic fervor and pro-war brain-washing to which they had all been subjected. Soldiers on both sides courageously dropped their weapons, came “over the top” in peace to meet their former foes face-to-face. To get to the neutral zone, they had to climb over barbed wire, walk around shell holes and over frozen corpses (which were later to be given respectful burials during an extension of the truce, with soldiers from both sides helping one another with the gruesome task of burying their comrades). And the generals and the politicians back home were appalled at the unexpected Christ-like behavior of the front-soldiers. Fraternization with the enemy (as well as refusing to obey orders in time of war) is universally regarded by military commanders(and courts of law back home) as an act of treason and a serious crime deserving of severe punishment. In most wars throughout history, such “crimes” were often dealt with by severe beatings or firing squad. In the case of the Christmas Truce of 1914, most commanding officers feared mutiny among the soldiers if severe punishments were carried out and, also not wanting to draw public attention to any punishment that could modify the war fever back home, they censored home-bound letters and basically ignored the episode. War correspondents were forbidden to report the truce to their papers. Some commanding officers threatened courts martial if fraternization persisted. They understood that getting to know and befriend a supposed enemy was bad for the carefully-orchestrated killing spirit of war. There were punishments that were carried out against some of the most conscientious soldiers who refused to fire their rifles. The troops of both French Catholic and United Kingdom Protestant persuasions naturally began questioning the moral legitimacy of the decidedly un-Christlike war and so those troops were often re-assigned to different – and less desirable – regiments. German troops were either Lutheran or Catholic, and the consciences of many of them had been revived by the truce. Refusing to obey their orders to kill, many of them were sent to the Eastern Front where there were much harsher conditions. 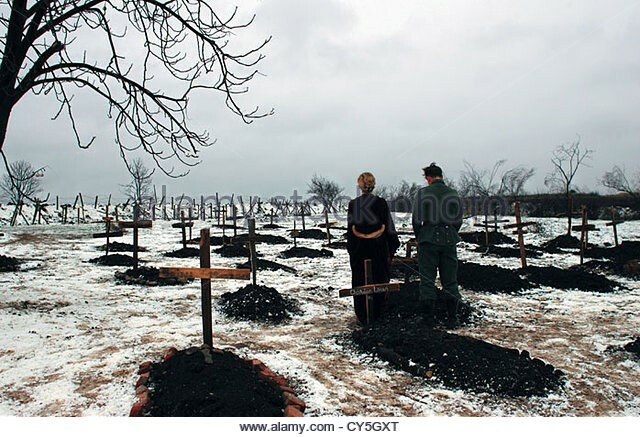 Separated from their Western Front comrades who had also experienced the true spirit of Christmas, they had no choice but to fight and die in the equally suicidal battles against their Russian Orthodox Christian co-religionists. 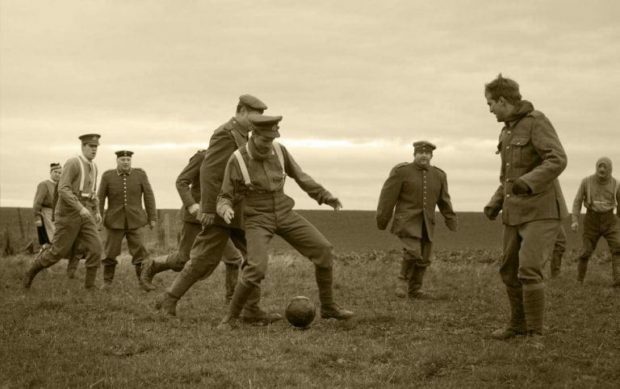 Very few soldiers, either Allied or German, who experienced the Christmas Truce of 1914 survived the war. Essentially none of soldiers directly involved in the truce lived to tell the story. Perhaps the only ones who experienced the spirit of the truce were the soon-to-be wounded who made it home by were somehow never sent back to the front. 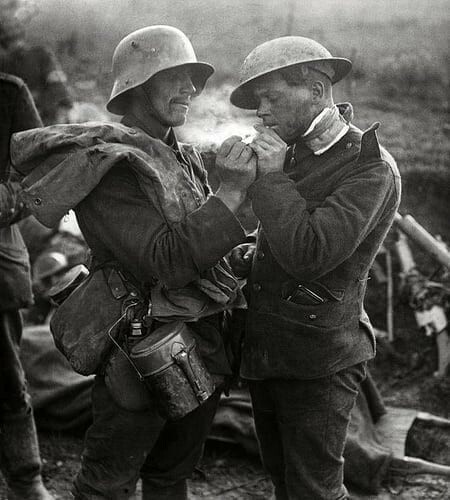 If humanity is truly concerned with the barbaric nature of militarism, and if our modern-era false flag-generated wars of empire are to be effectively derailed, the story of the Christmas Truce of 1914 needs to be retold over and over again – and then taken to heart. The satanic nature of war is obvious to anyone who has experienced war up close and personal, especially those who have experienced the brutality and chaos of close combat and dealt with the casualties. And all war-mongers, war profiteers and flag-waving patriots (civilians and veterans alike) try really hard to cover up those same unwelcome truths by telling embellished stories of military heroism trying to glorify what is blatantly inglorious. Both ancient and modern wars have been falsely glorified in every nation’s history books but, if civilization is to humanly survive, war needs to be exposed as the demonic reality that it is. Violence begets violence. Wars are contagious, universally futile, and never truly end, even if there is a truce; and their extremely high costs always results in a very poor return on investment – except for the banks and the weapons-manufacturers and the “lifers” who are guaranteed lucrative pensions that put all war-mongering nations deep into debt. Modern American wars are now being fought by thoroughly indoctrinated, post-adolescent, Call of Duty-type first person shooter gamers who liked the adrenalin high of killing virtual “bad guys” in a videogame. Sadly, unbeknownst to them, they are at high risk of having their emotional and spiritual lives negatively and even permanently altered by the physical, mental and spiritual damage that always comes from participating in actual – or virtual – homicidal violence. Combat war can easily doom its participants to a life overwhelmed by the large variety of wounds of war. Those wounds include PTSD, sociopathic personality disorder, suicidality, homicidality, loss of religious faith, traumatic brain injury, malnutrition from the highly processed military food and the many post-vaccination autoimmune disorders caused by the military’s over-vaccination programs with neurotoxic aluminum-containing vaccines, especially the unproven-for-safety series of anthrax shots that were injected into many Gulf War I and II soldiers). The mainstream media is now actually writing about the many long-term drug-induced disabilities, suicides and overdoses that have resulted from the widespread prescribing of dangerous and addictive drugs to soldiers and veterans. This phenomenon is especially true of opioids and psychiatric drugs, whether they were ultimately obtained legally or illegally. What is important to understand is that most of the adverse effects of such drugs and vaccines are iatrogenic (doctor-, vaccine- or prescription drug-caused) and therefore preventable – although not necessarily treatable because their iatrogenicity is never acknowledged (and therefore never diagnosed) by the prescribing physician. 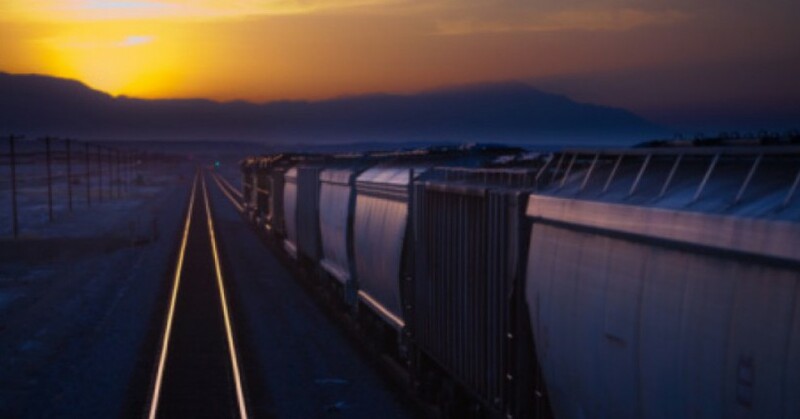 It seems to me that it would be helpful if moral leadership in America, especially its church leaders and its Christian parents, would discharge their duty to thoroughly warn their children that are in their sphere of influence about all of the serious consequences of being in the killing professions. Jesus, who commanded his followers to “love your enemies”, would surely approve. Without such countervailing truths being told by a nation’s moral leaders, war planners have an easy time bamboozling potential soldiers from recognizing the humanity of those that are being demonized and accused of being enemies, whether they are Yemenis, Turks, Syrians, Chinese, Palestinians, Russians, Iranians, Iraqis, Afghanis, Vietnamese, Chinese or North Koreans. I have been repeatedly told by anti-war military veteran friends of mine that their military chaplains – who are supposed to be nurturers of the souls of the soldiers that are in their “care” – never bring up in their counseling sessions or sermons – the Golden Rule, Jesus’ clear “love your enemies” commands. Neither do they mention Jesus’ many ethical teachings in his Sermon on the Mount or the biblical commandments that say “thou shalt not kill” or “thou shalt not covet thy neighbor’s oil”. 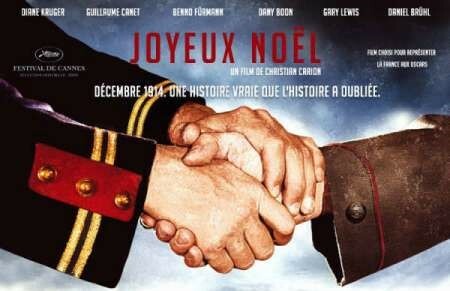 One theological blind spot about war was nicely illustrated near the end of the “Joyeux Noel” movie. In a powerful scene depicting a confrontation between the altruistic, Christ-like, antiwar Scottish chaplain and his pro-war aristocratic Anglican bishop. As the humble chaplain was mercifully administering the “last rites” to a dying soldier, he was reproached by the bishop, who had come to chastise the chaplain for fraternizing with the enemy during the Christmas Truce. The bishop summarily relieved the simple pastor of his chaplaincy duties because of his “treasonous and shameful” Christ-like behavior on the battlefield. The authoritarian bishop refused to listen to the chaplain’s story about his having performed “the most important mass of my life” (with enemy troops participating in the celebration during the Christmas Truce) or the fact that he wished to stay with the soldiers that needed him because they were losing their faith in God. The bishop angrily denied the chaplain’s request to remain with his men. The bishop then delivered a rousing pro-war, jingoistic sermon to the newest troops (which was taken word-for-word from a homily that had actually been delivered by a real Anglican bishop later in the war). The sermon was addressed to the fresh troops that had to be brought in to replace the veteran soldiers who had suddenly become averse to killing and were refusing to fire on the enemy. The image of the dramatic but subtle response of the chaplain to his sacking should be a lesson to Christian church leadership – both clergy and lay – of every militarized, so-called “christian” nation. The chaplain, after listening to the bishop’s sermon, simply hung up his cross and walked out of the door of the field hospital. “Joyeux Noel” is an important film that deserves to be annual holiday viewing. It has ethical lessons far more powerful than the traditional holiday movies such as “It’s A Wonderful Life” and “A Christmas Carol”. “My name is Francis Tolliver, in Liverpool I dwell. Check out the video of McCutcheon singing his song. A critical scene from the movie. Additional scenes from the movie, with the narration of a letter from one of the soldiers involved. This entry was posted in Geopolitics, Government, Insurrection, Military, Morality, Politics, War and tagged Christmas Truce, Joyeux Noel, World War I. Bookmark the permalink.